When the weather heats up, it is definitely time to get into the pool and spend some quality time in the sun. However, since you last cleaned the pool, leaves and other forms of debris may have drifted into the swimming pool and you may be in the mood for warmer water. You might also be wondering about how to lower your water and chemical costs. Installing the right pool cover is an effective way to cut your costs, reduce maintenance time and warm your water. While thinking about the type of pool cover you should get, it is important to consider what a cover can actually do for you. Different covers exist but they have some things in common. Some covers heat the pool’s water. Keep out leaves, debris and dirt that disrupt the sanitary conditions and pumps of the water. Reduce the amount of cleaning time. Significantly lower monthly bills by cutting down on the costs of chemicals, water and heating required to maintain the pool. With all the options available, you need to make the right choice. Each type of swimming pool cover has its distinct abilities. Being aware of what the different covers can do is a key aspect of deciding the one you should buy. Solar or bubble pool covers are regarded as the most affordable among the options. The cover absorbs the warmth of the sun during the day and keeps warmth from escaping when the temperatures are cooler at night. Some covers drastically reduce evaporation and reduce pooling heating costs. Solar pool covers are made of durable light materials and comprise of air bubbles. Light easily passed through the bubbles to heat the water. The installation process is relatively simple. Visit Just Covers Sydney here. Automatic pool covers are easy to use and can deal with safety concerns. Auto covers work by automatically opening and closing when a button is pushed. They are easy to operate and offer more security than some covers. Auto covers consist of interlocking slats and have the ability to support an adult’s full weight. They can be locked to prevent young children from accidentally accessing the cover. These types of covers are usually custom-fit according to the pool measurements and need to be professionally installed. Thermal pool covers block the rays of the sun and prevent the growth of damaging algae. They are also more effective heat retainers than solar covers. Thermal covers are comprised of insulating foam material. Installation is typically carried out by a professional and the cover is ideal for virtually any pool shape. Winter pool covers are often by bought by people who plan to close their pools during the winter season. Winter covers can all be used throughout the year. The covers keep out extreme temperatures and winter winds that lead to frost damage. They overlap the pool sides to keep out debris and dirt. Hidden covers are a good option is aesthetics are a priority. They can be installed on existing and new pools as well as those that are still under construction. 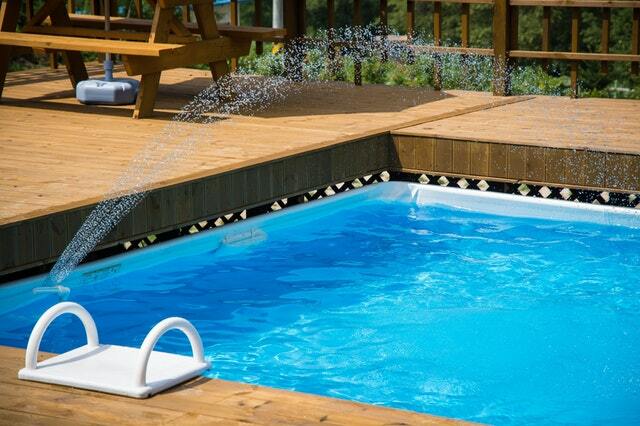 They are discreet and not noticeable, which is ideal for pool owners who prefer the cover to remain out of sight. How to Know That It Is Time for You to Mow the Lawn for Spring Preparation?